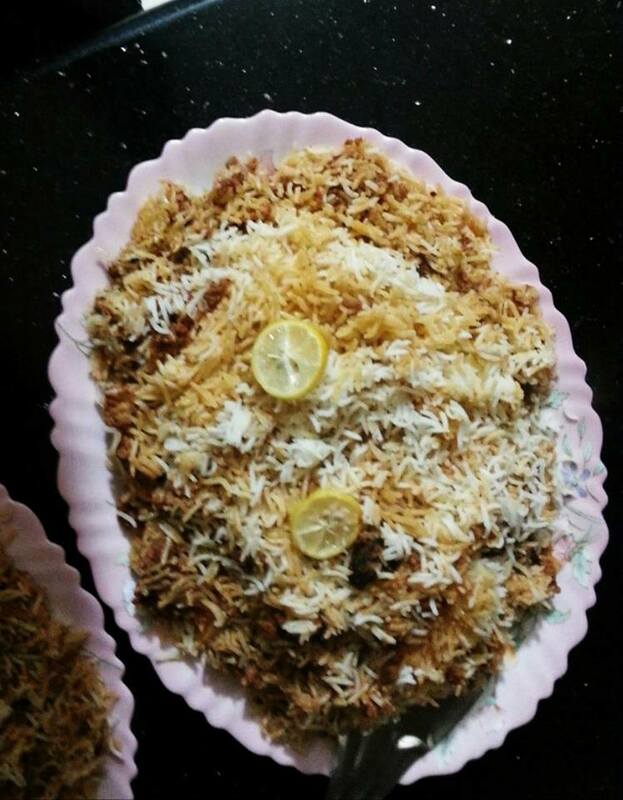 We always think that keema biryani or mince rice is very difficult to cook but with the help of following recipe of Shireen Anwar you can make it in an hour. The difference between biryani and pullao is that while pullao may be made by cooking the items together, biryani is used to denote a dish where the rice is cooked separately from the other ingredients. Heat one cup oil and fry sliced onion and whole mix spices till onion get soft. Now add ginger garlic paste and fry it. Then add crushed green chilies, yellow color, hot spices powder, salt, red chilies, coriander and cumin powder, turmeric powder, boiled mince, coriander and mint leaves, yogurt and mix it all well. Cook on high flame till it leaves oil. Mince is already boiled so it will take only 2-3 minutes. In other pan put some oil in bottom and then place cooked mince, green chilies, mint and coriander leaves, sliced tomatoes and cover it with boiled rice. Seal the pan with its cover and put the biryani on dum for 5- 15 minutes. Garnish with boiled eggs. Serve hot with khuchoomer salad and raita.